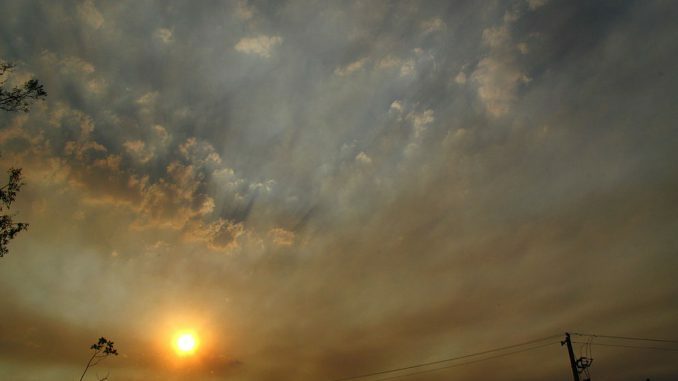 The official start of bushfire season has been brought forward in the eastern states, with the threat in Victoria being compared to the period leading up to the catastrophic fires of 2009.The Gippsland, Eastern Metropolitan and Hume regions in Victoria are all on high alert after recording drier than usual conditions leading up to the summer months. This early warning comes from the Bureau of Meteorology, which has forecast warmer and drier months, exacerbating the drought afflicting some parts of the country. The bureau said Australia had just seen the driest September on record nationally, the second driest for Victoria, third driest for Western Australia, and fourth driest for South Australia. The extended run of dry weather has set the scene for one of the worst fire seasons ever, officials say. The Black Saturday fires of February that year was the deadliest bushfire disaster to ever hit Australia, claiming 173 lives. Bendigo and Central Victoria are bracing for their worst fire season on record, prompting the NSW Rural Fire Service to send a message of “Get ready and get ready now“. South Australia has also taken precautionary action and has brought fire season start dates to as early as September 1 in some regions. But the first major blaze of the season occurred well before that date: a fire in Bega Valley on the NSW south coast destroyed two homes on August 15, 2018. The Country Fire Association has urged people in affected areas to prepare now by removing combustible fuels from around houses, cleaning out gutters and keeping grass cut to a low level.